Mope helped me out on this proof of concept jam. I doubt anybody checks this blog ever, but here it is anyways. If I get any feedback I'll post all the other beats we've made in the past months. A little something different from DJ Mope. Admittingly, we should spend a little money on proper choir plug-ins. Enjoy! 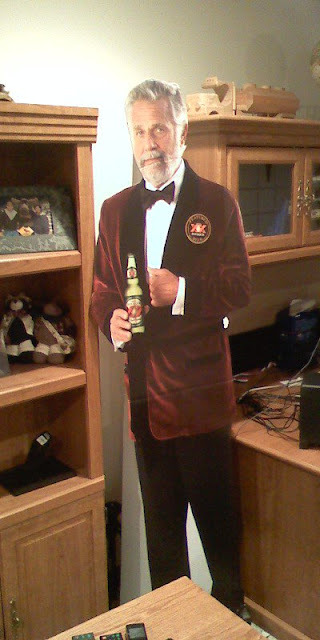 Scored this cardboard cutout last night from Buffalo Wild Wings. Gaze upon it.